On Easter, we looked at the the fact that death was not part of God’s original design– but, instead, it is a result of sin. Sin causes a lot of problems and brokenness in our world, but Jesus has defeated sin (and death!) and is restoring everything. 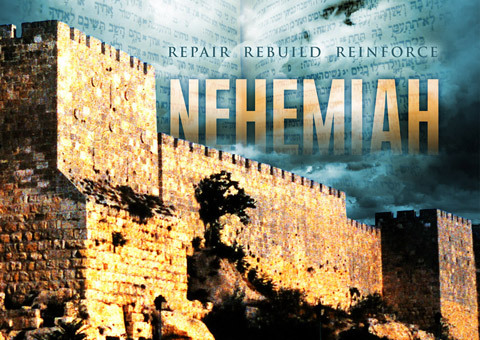 This week we will begin a series that will look at the story of Nehemiah from the Old Testament. It’s all about rebuilding and restoring. I believe that it is a great follow-up to Easter because God invites us to join him as he restores people and creation. The Book of Nehemiah tells the story of how an ordinary man did something extraordinary with God. Nehemiah knew that God wanted him to rebuild Jerusalem’s walls and he took action. But this is not just a story about the physical walls around a city– it is also about the spiritual walls around our hearts. In this series, an ancient man by the name of Nehemiah is going to hand us a few bricks—bricks we can use to build a character of such quality that your faith can’t be destroyed. But these bricks aren’t just for our faith—they can be used to rebuild and restore your family, your church, your community and your world.